Kohlrabi is a biennial vegetable, and is a low, stout cultivar of cabbage. 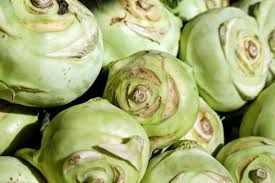 Kohlrabi can be eaten raw as well as cooked. Edible preparations are made with both the stem and the leaves.